you see the name jumbo everywhere — from planes to supermarket chains… but do you know where the name comes from and how it came to signify something huge? as the logo of brands sometimes hint, jumbo was a big elephant claimed to be around 4 meters tall and marketed as “the biggest in the world” at the time. he was born in sudan in 1860, taken to a zoo in paris, then transferred to another zoo in london and from there bought by an american showman in 1882 to join his circus. the toured the US by train, earning a lot of money to the circus company. sadly, he died just 3 years later, in the town of st. thomas, ontario, after being hit by a passing train one night. 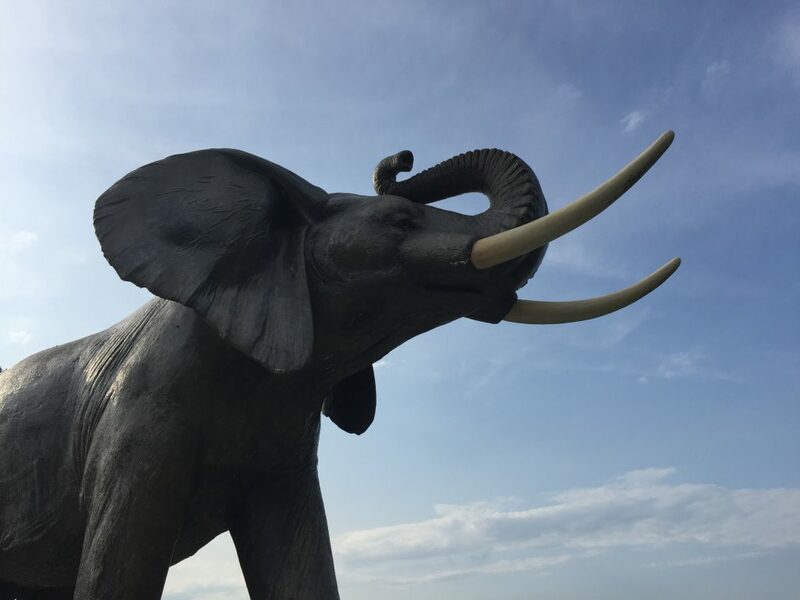 one hundred years passed and the name stuck around, so the town made a life-sized statue of jumbo to commemorate the centenary of his death. it’s still there, a roadside attraction that helps us remember this giant and his sad story.